Patrina Wisdom known as the “Fresh Start Specialist”, is a published author, dynamic speaker, certified life success coach, retreat facilitator, and single mother. She believes that in order to live a BadAss Bodacious Life you must connect with, embrace, and exercise every part of yourself. She is known for inspiring courage and developing successful and responsible leaders. Her experience in the healing arts, entertainment, and financial industry coupled with her passion for personal growth and development, her personal journey, and her natural intuitive and healing energy makes her a natural, effective, and sought after public figure. Through her work with her company Mindful Living, Inc, her non-profit organization Hands of Comfort Foundation, Inc. and her Badass Bodacious Life Movement she has already helped thousands of people move into their greatness and create a life that they love! Success! 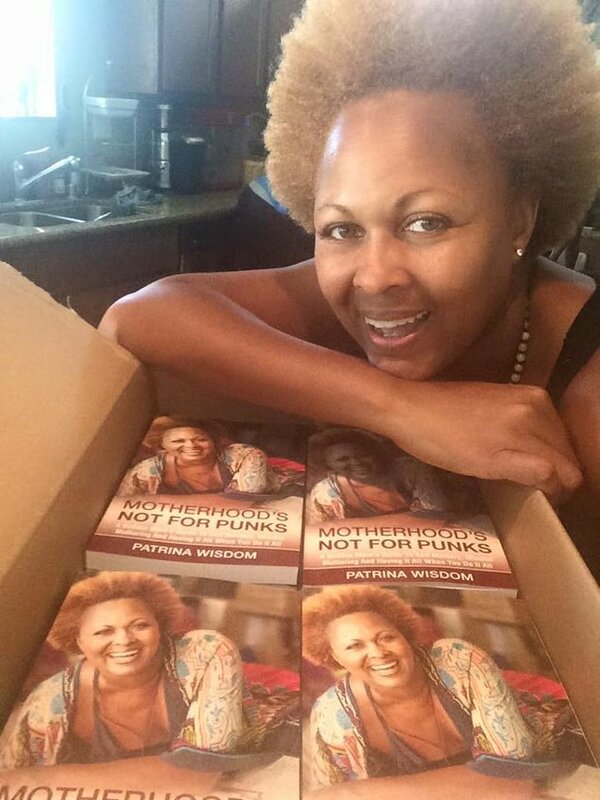 Motherhood's Not For Punks sold 269 pre-orders by Sept. 13, 2015, and will be published by Crescendo Publishing. + GRATITUDE!! - A personal shout out on one of our social media outlets showing you how much we genuinely appreciate your support! + You will be added to a very special VIP FB group to network and connect with a community of like-minded, supportive people. Your name will be featured inside the book on a Patrons Supporter page with special thanks and gratitude--to be featured in every copy of the book forever. + A 30-minute Virtual Tea or Coffee w/Patrina Wisdom--Lets get to know each other! Your name will be featured inside the book on a Diamond Patrons Supporter page with special thanks and gratitude--to be featured in every copy of the book forever. We just wanted to let you know that for those of you that did not collect your print copy of our book at one of our launch parties, your books are being mailed in groups. We sent out another 30 books today so if you haven't received yours, you will soon. Also, there are also some of you that we don't have addresses for so please check your email. We may have sent a request for your address.